Looking for a cruise bargain that includes long, wonderful days at sea? How about a repositioning cruise? When the weather changes in the spring and the fall, many cruise ships join the whales and other seagoing creatures and migrate either north in the summer or south for the winter. Cruise lines reposition their ships from Alaska to the warmer waters of the Caribbean in the fall season and then move them back to Alaska in the late spring. Since at least 30 cruise ships sail Alaska each summer, that's a lot of beds to fill for the cruise lines when the ships are traveling to or from Alaska! Most cruise ships that spend their summers in Europe will cross the Atlantic in the late fall to spend the winter months in the Caribbean and then reverse the process the next spring by crossing the Atlantic back to Europe. Other ships traveling to Asia, South America, Africa, or Australia will also often reposition to other parts of the world when the weather changes. Many travelers avoid Asia because the flights are so long. However, for those who have the time, they can sail on a repositioning cruise to Asia and then only have to fly one way across the Pacific home. Cruise lines often have theme cruises when they reposition. For example, the ship may be a "bridge cruise" for those who love to play the game. One of these cruises can be great fun and allow you to meet others who enjoy this fun card game. Other theme cruises might be related to music, dancing, or allow guests to take classes in computers or other learning activities. Rather than sail the ships without passengers, cruise lines discount these "repositioning" cruises for four main reasons. Cruise ships must discount the fares to make them attractive to the majority of passengers who prefer port-intensive cruises. Cruise lines also recognize that most passengers will spend much more money per day in the casino, bars, and shops on a ship at sea than they do when the ship is in port, so are willing to sail with discounted fares to fill up the cabins. Repositioning cruises are also usually longer in length than traditional week-long voyages, further decreasing the number of travelers who can afford to take advantage of this cruise opportunity. Discounting the cruise makes it an option for more travelers. 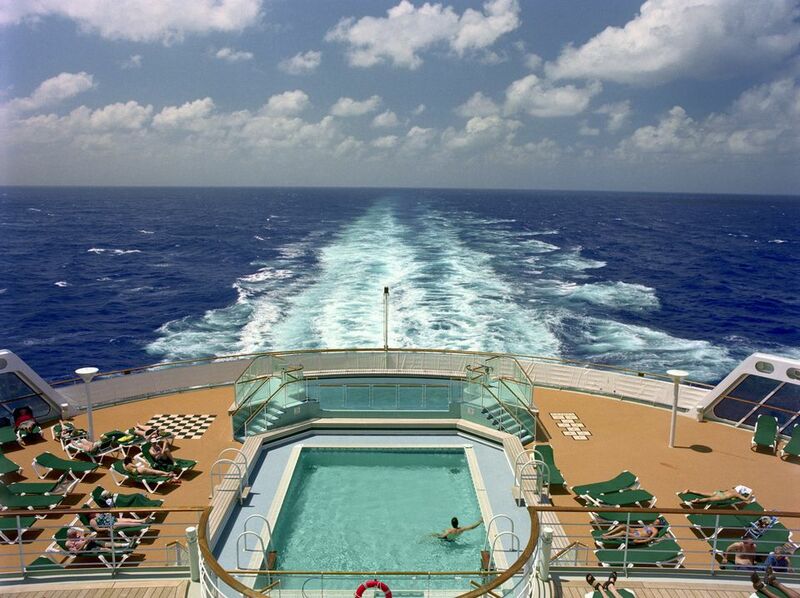 Voyages with many sea days are less expensive for the cruise lines to operate. Whenever a ship docks in a port, the cruise line has to pay a port fee. The longer the ship is in the port, the higher the fees. Since by definition a repositioning cruise has many more sea days than port days, it's less expensive for the cruise line. The most popular fall repositioning cruises are those from Europe to the Caribbean or from Alaska to the Caribbean through the Panama Canal. Some cruise ships also reposition to Asia from the Mediterranean by sailing through the Suez Canal, while others cross the Atlantic to South America. All of these repositioning cruises are usually 10 days or longer, and most feature numerous days at sea. Most represent excellent bargains for the cruising public. They also represent a good opportunity to try a new ship for a relaxing sea voyage. Starting in August, ships reposition from Europe to the Caribbean, the eastern coast of North America, or South America before the end of the year. Since the Alaska cruise season ends in September, ships from Alaska will start moving south to the Panama Canal, Hawaii, Australia, or Asia. Some repositioning cruises may be as late as December. The repositioning season starts with early spring cruises when ships in South America head back north. Ships that have wintered in the Caribbean will sail through the Panama Canal on their way to Alaska. Some ships from Asia, Australia, or the South Pacific will also head north, usually to Europe, but also to Alaska. Numerous other ships that have wintered in the Caribbean head for Europe in March, April, or May. Some will spend most of the spring, summer, and fall in the Mediterranean. Others will cover both the Mediterranean and elsewhere in Europe.